A few weeks ago I started a blog hop based on a post I wrote that delved into some personal reasons for why I follow a frugalista lifestyle. I invited three other bloggers and writers to respond. And now my frugal mentor and buddy, Trish, author of several blogs including We Love Retirement 2014 and Trish and Bob Island Adventure has kindly shared with me some of her reasons why she is frugal. Trish and I met ‘online’ through the Simple Savings forum. Trish organized several Canberra Simple Savings catchups, and over time we became close friends. Trish and I used to walk and talk and garage sale and op shop and phone each other as I chatted about some of my major life changes: through unsuccessful attempts to have children, the trauma of having a premature baby, moving overseas to Taiwan (she came to visit!) and now, as I separate and divorce. Meanwhile Trish has had her own lifestyle changes. When I first met her, she was desperately unhappy in her job and had health problems caused by the stress. Now she and her husband have retired and are currently on a two-year grey nomad adventure. They have done extensive travel before that, including a three-month stint as caretakers on the remote Deal Island, but this time they have physically left their house for two years. Trish also now has four grandchildren, with more on the way. Trish and her husband are the most adventurous and resourceful travelers I know. If you have ever wondered what it might be like to quit your job and travel the world – frugally – these tips will help you get there. For now, being in a different stage of life, I can only dream and watch her travels online with envy. 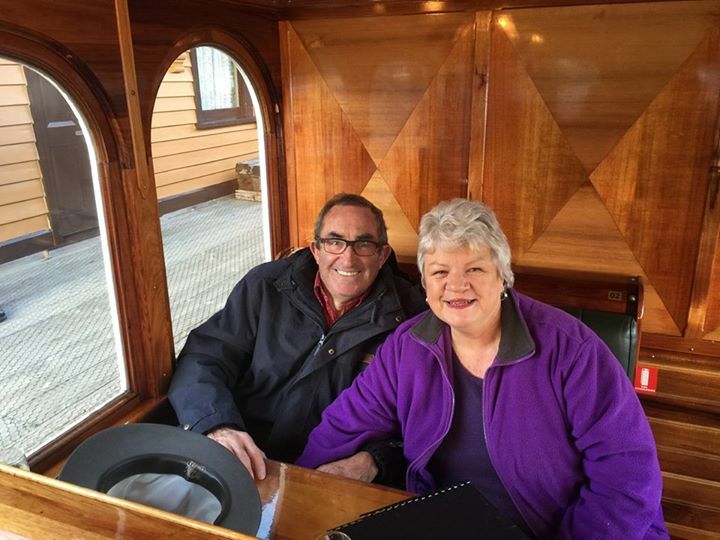 For the past six years my husband and I have enjoyed many travels both in Australia and through quite a number of other countries. We have done this in keeping with our lifestyle of living well within our means, and making our retirement dollar stretch as far as possible. I am going to share the ways we save on accommodation, entertainment and travel. For the first five years of our retirement we joined a home exchange website, www.homelink.com.au. This website requires an annual fee, and for this the home owner gains access to other listed members, their telephone numbers and email details. One can join as a visitor and have limited access, which is enough to establish if this is the right site to join. I chose this for a few reasons. One is that by paying a fee, there are fall back positions in the event that an arranged exchange is cancelled at the last minute. The organisation has a toll free number for potential members to speak to a real person and get answers to those “what if” kind of questions. I maintain that the annual fee is like an insurance policy and is no more than one night’s accommodation in a inner city hotel. There are certainly other sites, however I did try them but returned to the abovementioned one for ease of use, variety of available swap partners and familiarity. As a member of the above home exchange site there are also sections for house sitting. We were approached to “farm sit” for eight weeks in Toowoomba, Queensland, and being very open to unusual suggestions took on the challenge. The key was good communication and we ended up returning to do the same job two years further on. The job was not as arduous as it may sound and our days were free to explore the surrounding area while at the same time living totally rent and utility free and just being responsible for our animal charges. Currently we are members of another house sitting site that is set up exclusively for this purpose and there are no shortage of places and animals to mind for their travelling owners. Again, this is rent free, utility free, and the only costs are food, fuel and entry to any attractions. This club originates in the USA however is also open to residents from other countries. Basically this club welcomes members who are over 40 years old and who enjoy travelling. An online directory lists all the members names, addresses and contact details, together with their profile. This means that a potential host may have interests that match yours, or they may be diametrically opposite too!! A host offers hospitality to a fellow traveller for a modest fee, US$20 per night a couple. Travelling through the USA and Canada we have stayed with many members for up to 4 nights (total recommended by the club), and ALWAYS hand over more, as it is the country that has tipping firmly embedded into the culture. Nevertheless, it is an opportunity to meet locals, hear about the nearby attractions from them firsthand and enjoy some alternative company for a few days. Breakfast is included, however a night meal is not, but some hosts are happy for you to re-heat meals, prepare something light or eat with them. Each host works differently and the important aspects to keep in mind are basic manners and respect. Our expectations have been well exceeded in many cases by the warmth of hosts who have offered to collect us from railway stations, drop us off at a bus stop and include us in family celebrations. Another online site to find affordable accommodation is Airbnb. Again, we have used hosts in USA, Singapore and Australia. The range of hosts and accommodation is varied, as is the price, so it is possible to factor in the upper limit you are prepared to pay and then look for hosts in the area. On a recent trip to Singapore we enjoyed ten nights in an apartment very close to the city and the city hotels. When we compared prices with friends in the hotel, we were paying a third of their nightly tariff by staying in our ensuite apartment, complete with housekeeper and well appointed kitchen. Often the host is in residence and just because the name is Airbnb, check all the inclusions as sometimes breakfast is not included, despite the name. We were caught short once, so this was a lesson on seeing what the host does provide. We own a modest caravan that we bought second hand in 2010. We use it often and are currently on an around Australia trip taking “as long as it takes”. We do intersperse it with a variety of other trips, holidays and cruises. Being retired there is no time frame and so we can take our time exploring those places we are attracted to, and skipping past those that have very little to offer. Caravan parks are expensive and eat into a budget, with prices ranging from about $20 to $70 per night for a piece of ground upon which to squeeze the van in between two others. For this sum electricity and water is provided, and usually there is a laundry and clothesline to use for a fee. An alternative is to “free camp” or “freedom camp”. Free camp to us means exactly that – free/zilch/zero/no fee paid. Freedom camp is a new phrase being used within the ranks of those living in the great outdoors and it could mean staying in a low cost or free site that is not run on a commercial basis. These kinds of camping experiences are achieved in a number of different ways. Australian retirement vehicle owners and campers rely on either a book or app that lists all the known sites that fit in either of the above categories. The book is Camps Australia 8 and the app is Wikicamps. The difference is the price and portability. The Camps book retails at about $70, while the app is under $10. We have both as I still like looking at pictures of where we could be staying for the night or two. Facebook sites. There are a plethora of member only sites that can be found by searching for a keyword, e.g. camping, caravanning, free camping, low-cost caravan sites. Specialised web sites. A number of entrepreneurial folk have constructed their own pages that list and rate different caravan parks. Like many aids that come and go, I don’t favour these any longer as Facebook is almost instant with replies to questions. Upon arrival at any new destination our first stop is invariably the Visitor Information Centre, or a website specifically for visitors to the region. We both enjoy walking, so in outback or regional areas we will always ask for a historic walk of the town. The calibre of the leaflets varies, however the main aim is to be able to get in a good walk, while at the same time stopping to look at significant monuments, houses and buildings that are unique to the area. This is all free. Sometimes in city areas there are free buses that take the rider on a circuit giving an overview of the place. In some places there is the paid “Hop on Hop off” bus that we find economical as well. Often museums, cathedrals and galleries have a volunteer guided tour lasting for up to an hour, again that is free and gives an insight into the particular place you are visiting. Believe it or not the local cemetery is also a free place to wander about and again some visitor centres have pamphlets listing the more interesting headstones to visit. We find that the places to visit gain momentum the longer we stay in a place as people will mention a good spot to picnic, a special exhibition or we pick up a flyer for something a bit obscure. Use public transport wherever and whenever possible. I say this, however it is not worth lugging suitcases along a hot pavement to get onto a crowded bus to pay a minimal fare as opposed to catching a shuttle or taxi for a little more cost but triple the comfort. I subscribe to quite a number of sites for the type of travel we enjoy. These include cruises, flights and train travel. Sometimes an offer presents itself that fits in nicely with other travel, is a good price and will tick off another adventure that is important for us. Recently we cruised for 15 nights and despite my husband’s hesitation opted for an inside cabin on a lower deck. My argument for this selection was that would be too busy to be in the cabin apart from sleeping. The arrangement worked well and we have now booked another cruise, of course with an inside cabin – an immediate $800 saving compared to a cabin with a porthole. When flying we have sometimes secured a very late checkout from a hotel, at the right price of course, rather than join any kind of airport lounge. In the USA they are available for about $50 per person, however they don’t offer shower facilities, nor anywhere to sleep. On a recent trip, we paid an extra $70 in a hotel for a checkout at 7 pm. This meant we could rest for the afternoon and shower before our very late evening flight home. We NEVER travel anywhere out of Australia without travel insurance as it is sheer folly for us to do otherwise. Except where it is not practical nor possible we cook and eat in when travelling. This means we are eating food that is familiar, I am shopping with my list and there is little wastage. Of course on a recent trip in Asia it was simply much easier to have our breakfast in the apartment and dine out the rest of the day. I could not have cooked the quality and variety of food we found in the local markets for a comparable price. While home exchanging entertainment in itself was shopping in an unfamiliar supermarket for our groceries. Particularly in the USA and Canada by cooking at home the whole tipping procedure is avoided and the size of the meal can be regulated, as they are renowned for their largesse in food presentation. I hope there is something you found in my travel discussion that might prompt you to explore one or some of the suggestions further. Do you have a frugal story that you would like to share as a guest post? Or would you like to participate in a blog hop by sharing a frugal story on your own site? I would love to hear from you. Please email me at msfrugalears[at]gmail.com, and/or share your story on social media with the #whyfrugalista hashtag. The next blog hop post will be from Megan at Mo’ Money Mo’ Freedom. I am looking forward to hearing about her frugal journey. Hello Trish, we are going to the USA in April and have booked all our transport (travelling by train) but not our accommodation, my question is are the Airb&b safe? and can the travel agent book them? Thank You Maggie. I m willing to travel too, just need a companion. Non smoker n non snorer, Know anyone? Hi Trish, what an inspiration you are! Many good tips here to make my goal of retirement in five years’ time that much more real… happy travels.